Calabria elegant quad carrying case is the stylish way to carry your eyeglasses, or more! 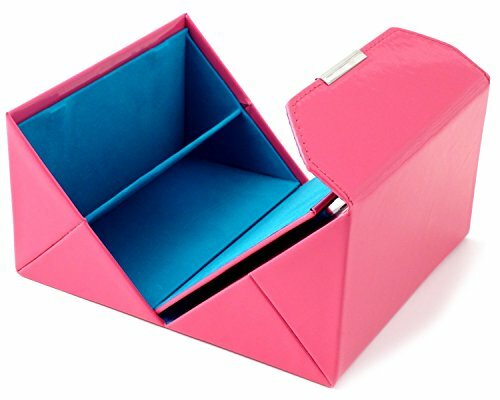 The box folds out revealing four compartments with two separators between each side. The case comes complete with a mirror for your convenience. Measures 3.35" Tall x 6" Wide. Great for eyeglasses, readers, sunglasses, makeup, cellphone, jewlery, or much more!